This question isn’t new. 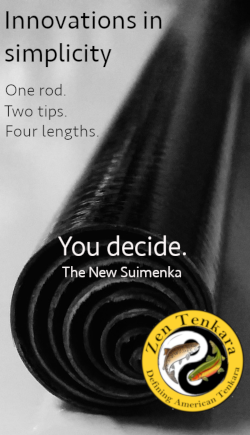 In fact, it probably arose on day one when tenkara first hit the U.S. Over the years as I’ve watched tenkara go from an underdog in the flyfishing community to a tour de force, I’ve heard many anglers tout that its efficacy is what won them over. This got me to wondering–was it true for me? After more than 5 years, do I really catch more fish with tenkara than I did with my 4 or 5 wt.? Without any serious qualitative or quantitative analysis, I can at least say anecdotally: no. Intuitively, I don’t feel like I catch more fish than I did in my pre-tenkara days with a rod and reel. But what I can definitively say is that tenkara has allowed me to catch at least the same number of fish in a more enjoyable way. Firstly, it’s just easier. I can get a drag-free drift without the hassles of mending, sink a fly without pausing to add and adjust split shot, etc. I still get the fly where I want it to go–only without all the complications of modern terminal tackle. It just gives me a freer cadence on the stream. And I really like not having gear get in the way. Secondly, it affords me a “stress-free” preparation experience. The excitement at the mere prospect of a fly fishing outing was always somewhat dampened by the daunting task of gathering all my gear. But now, I literally have everything I need for every outing all packed up into one sling pack that’s always ready to go. I just pick it up and head out. Nice and simple. I feel like in the early days of tenkara’s debut in the West, there was a culture that wanted to somehow validate it by saying that it catches more fish than other fly fishing methods. I think this was an overstatement. Thinking back, I was probably guilty of it too. 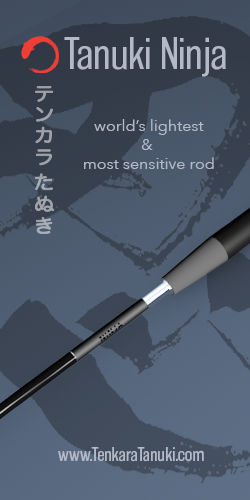 But now, I feel like tenkara has already proven itself and there’s no need to over-compensate. Tenkara catches fish. But (at least in my experience) no more than I used to. It works. Does it work in every situation? No. But it excels in what is was designed to do. 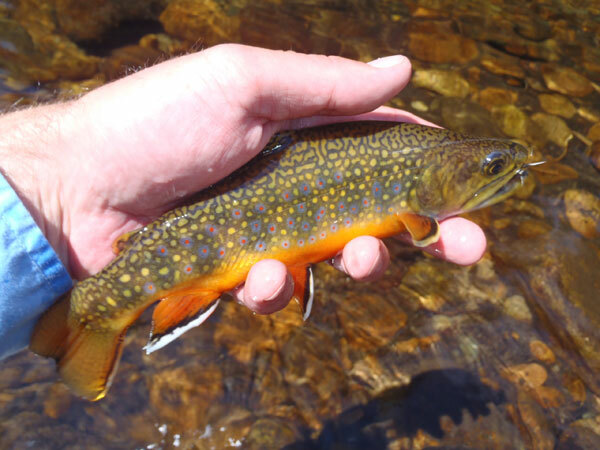 And for me, it’s the right one for most of the small streams I fish here in Colorado. 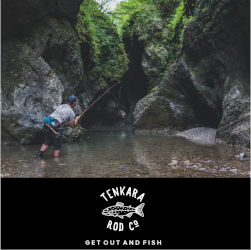 Do you catch more fish with tenkara? So true! I didn’t get in tenkara because it was better then any other methods, but because it was simple. It does allow me to go where others wouldn’t or couldn’t go. For me just like you, I get home from work, swing my rod on my back, jump on my bike and head to the river. I only got three trout in three years at my home river, mind you it’s not a trout area here but everything else has been lost of fun and above all….relaxing!More fish? No, maybe if you count that there’s less time lost fiddling with equipment and more time fishing. I agree but just partly. We have extra actual fishingtime with the fly on the water instead of falsecasting time. So by only that argument you have more chance catching fish. In my opinion,if you still catch just as much fish with more actual fishingtime on your hand,then you are doing something wrong. In addition my fishingtechniques,presentation and flychoice (i use now 12 patterns and know now exactly when and how to use them instead of several boxes) became a lot better because of tenkara. So i actually started to catch more fish and in a more enjoyable way. It’s gotta catch more fish. It’s “FROM HEAVEN”! Hey Chris, I used to think the same thing. But it was all based in theory. More time with your fly in the water instead of messing around with gear = more fish, right? But in practice, I have no empirical evidence that this is actually true. The theory is sound, but I can’t say that I really catch more fish with tenkara. Maybe you have, but I haven’t. I think no matter what gear an angler uses, they’re still limited by their skill. Lefty Kreh could probably land a 90 lb. tarpon with a 4 wt., but I couldn’t. I guess my point is that I wouldn’t want to either. I’d much rather use a 10 wt. But either choice would not help me catch more tarpon. I’d still need to know where to find them and how to entice them to strike. That’s true Jason. That is why i mentioned the other parts as well. The influence of tenkara helped me to simplify my approach on my flies. I now know better then before how they behave and when and how to use them. In addition my presentation got better,both with dries wet nymphs and new sealand style fishing. I always was catching fish but i knew that it was not upto my full potential. With tenkara i could simplify and focus easier and better on presentation and techniques so therefor my skillset got better. And one of my biggest advantages was and still is that my actual effective fishingtime increased. Like most, I enjoy the simplicity thing greatly as well, especially the lack of weight and bulk. But I have to disagree with the Tenkara not necessarily being capable of catching more fish thing with the following qualification: I fish dry flies exclusively in the running waters that I fish. And the ability to hold the line up and off of the water, and the additional reach of the longer T-rods provide on open streams allows me to get longer drag free drifts in places where I could never get them on my much shorter Western rods and much heavier Western floating fly lines on those same streams. 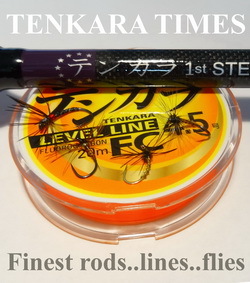 I came to Tenkara hesitantly and reluctantly in the beginning, especially for my high lake fly fishing, thinking that Tenkara’s limited range could never possibly compete with the Western fly tackle’s distance casting abilities on the high lakes. And although I have found T-fishing to be nearly equal to Western tackle’s performance in catching trout on those same high lakes because most of the trout are shore cruising feeders, on the small stream I fish I am catching more fish and better sized trout than I ever did before with my Western rods and fly lines. I religiously keep fishing logs, noting the date, place, time, fishing, water, and weather conditions, tackle notes, flies fished and numbers of fish caught on each fly pattern, which fly patterns moved fish from the greatest distances, and which pattern moved the fish the fastest, and the total catch for the day. In looking back over my fishing logs to before I began T-fishing, through my hesitant period, and on into and beyond when my confidence in T-fishing became great enough that I no longer felt the need to carry my Western tackle with me to fall back on if I felt it was necessary, I find many repeated references to catching more and better sized fish on the same stretches of streams with my T-gear than I was ever able to catch before with my Western fly tackle. So for me, with dry flies at least, Tenkara style angling is definitely catching more and better sized fish for me than I ever caught before with my Western fly tackle. And to date I have caught the largest fish I have ever caught on a T-rod – a better than 4 Lb. brown trout out of a 9,000 foot plus high lake on a dry fly. 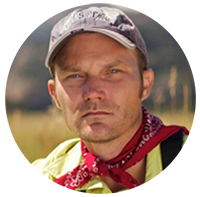 I did not come to tenkara to catch more fish than Western gear, Jason K stated my reasons very well, fun and simpler. Do I catch more fish? I believe so. Do I catch more fish in challenging situations like some of our local highly pressured spring creeks. No doubt I do. The presentation advantages win there. A 2 fish day on one particular creek is not bad. My first day there with tenkara I caught 18 and have had similar days since. But who’s counting, what I know is I had a blast!!! 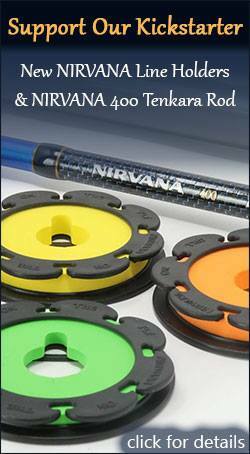 Aside from the myriad of variables that are necessary to catch (and release) fish or if I may use one of William F. Buckley’s famous phrases – “All things being equal…” – there is no doubt in my mind that Tenkara helps catch more trout. I cannot attest to that being the case with any other species. I’d like to add that as the fish get larger, the catching can become hooking or fooling fish as I’ve had many run away with my tippett and fly. Regardless, Tenkara has provided me with the most fun and challenges. Consequently, I use it more often than any other technique. For some of the streams I fish, it turns out to be a better tool for me, and in that respect, is more fun to fish with and a hell of a lot of fun catching. Do I catch more fish in those locations, I can’t say. I fish western single-hand and double-hand in situations where Tenkara would not catch more fish, I’ll say that. I fish for bluegill with Tenkara rods. I catch 3 or 4 times as many as I did with spin tackle. When I fish with other fishermen for bluegill I usually catch at least 2 for every 1 the others catch regardless of what tackle they use. Being able to place and control small lures with stealth and finess is a major advantage on waters the are heavily heavily fished. Heavy lines chase them away on the first cast. I suppose a really skilled fly fishermen might equal the Tenkara fisherman, but I don’t know anyone that good. As an older fisherman, my reason for joining the Tenkara community was strictly economical. Entering the fixed income society, I could no longer afford the expensive lines, reels, rods, etc. Tenkara allowed me to continue my passion of fly fishing. I am with Jason on this one. I don’t feel that I catch more fish with Tenkara than I did with all the other equipment of Western Style fishing, but you can’t beat the lesser expense associated with Tenkara let alone the fun of continuing fly fishing in the “Golden Years”. (Carrying far less equipment when you are approaching 70 is indeed a plus!) I am very thankful to have discovered Tenkara and hope to have many more years left to enjoy fly fishing. Always enjoy your sight Jason. Keep up the good work! I definitely catch more fish, probably because my skill level is not up to the level of others here. The first casts into a pool are critical. If I screw up the cast, or have the wrong fly with a conventional fly rod, I’ll spook the fish. With a Tenkara rod I can make many casts with a tippet only landing and I have more chances of the fish being patient with me until I get it right. I want to +1 to Chris’ comments. I tried Tenkara for the first time a few months ago, borrowing a guide’s rod for a day of nymphing. The simplicity of it forced me to concentrate on the fundamentals of “tight lines” rather than get distracted by (for example) how far I could cast upstream. My fishing was immediately more productive. The next day, using the lessons learned on Tenkara, I went back to my 5 wt and I was much more productive, both in the closest 25 feet of water and also on longer casts. I just bought a Rhodo last week. Went out to use it, but the wind was too strong. Hope to try again soon. Quantitatively speaking, YES, i do catch more fish with tenkara!